My name is Jill Chartell and I live in Hertfordshire. 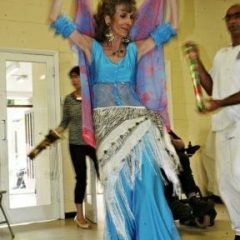 I am London College of Dance and Drama trained and for many years enjoyed a professional career as an international belly dancer. 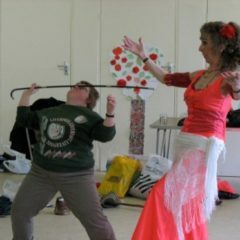 In 1990 I began teaching creative dance and drama at an Adult Training Centre in Hertfordshire teaching there and at other places until 2004. 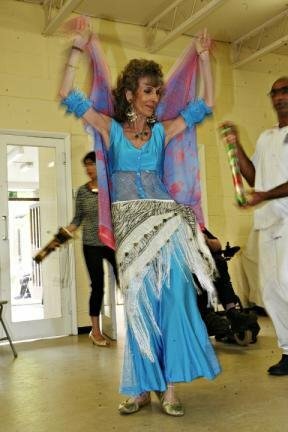 During this time I furthered my own development by completing a range of courses including dance, drama and music therapy. 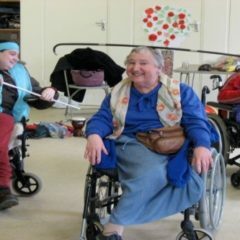 From 2005 until 2008 I taught part time in North London working with adults with profound and challenging behavioural difficulties and disabilities. 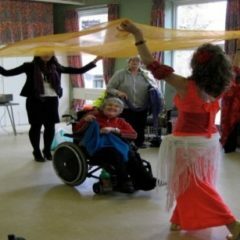 I am very passionate about the creativity and joy of dance and drama for all, and since 2004 I have offered my own creative dance and drama sessions to people with learning and/ or physical disabilities. 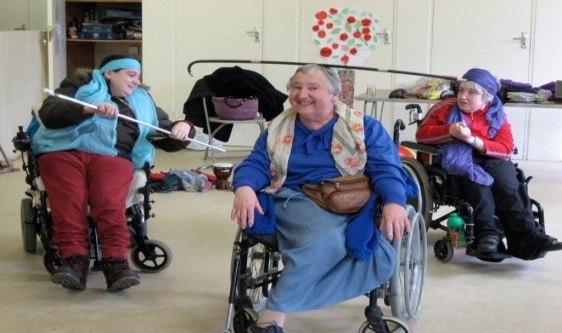 By combining role-play, mime, music and drama with the use of a wide range of music, percussion, coloured veils and many different props, these sessions aim to bring about a physical and mental change within people taking part through the joy of dance and self-expression. 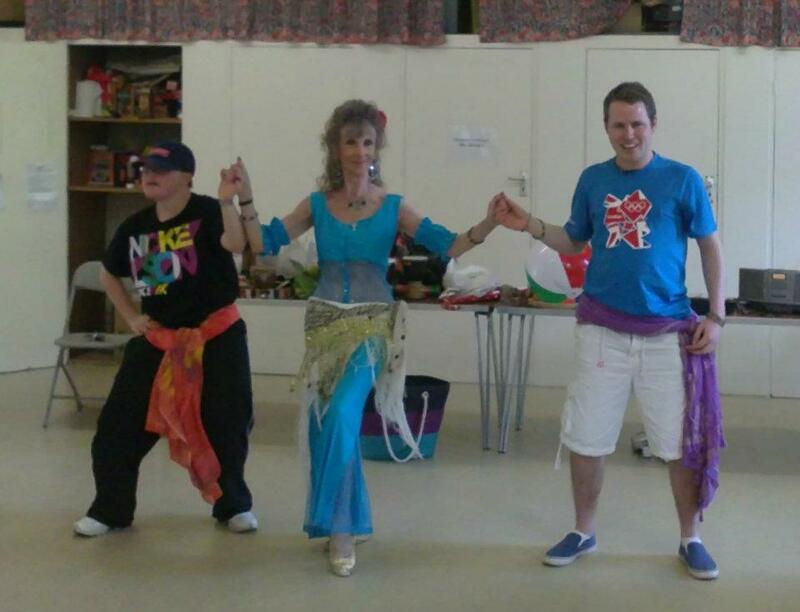 On some occasions I incorporate belly dancing into sessions, with lots of emphasis on having fun! I work with providers who have suitable venues and facilities to help them enhance what they offer to the people who use their services. 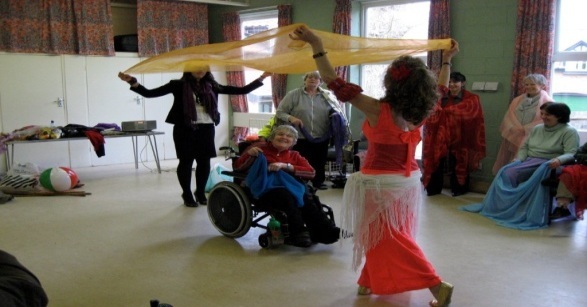 Previous customers have included residential care homes, various other venues and also DRUM and The Daylight Club (The Daylight Club have given their kind permission for the use of their photographs in my gallery). 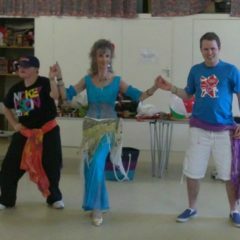 There is a direct link from my listing in Herts Direct to YOU Tube showing a few video clips of a variety of my sessions at the Daylight Club. I am fully insured and CRB checked and I charge reasonable rates for my sessions. I am based in Hertford and am able to deliver sessions within a radius of approximately 25 miles. 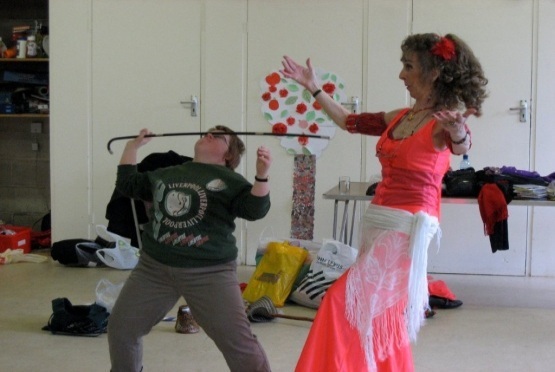 I would love to hear from providers who are interested in exploring how we can work together to bring the creativity and joy of dance and drama to the people who use your service.